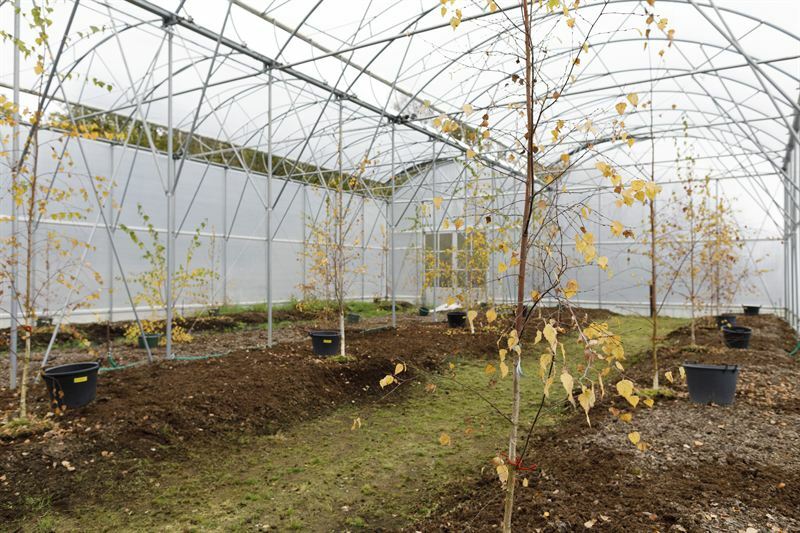 Södra has established the first indoor birch seed orchard in Sweden. By growing birch seeds indoors, supply becomes more stable, and the quality of the seedlings is higher and more consistent. The facility is located at Södra’s nursery in Falkenberg, where Södra is currently developing the operation in partnership with Svenska Skogsplantor. The advantage of growing the trees indoors is that they will only cross-pollinate with each other, which maintains the high quality of the seeds from the selected birches. The subsequent early flowering reduces the chance of external pollination. There has been a shortage of high-quality birch seeds in recent years, and the demand for birch seedlings has exceeded supply. With this new method, Södra will now be able to meet demand more effectively. “By being open to new methods, we can also continually adapt our way of working. In this way, we are making an even greater contribution to our owners and their forests, as well as to society as a whole, which benefits from well-managed forests,” said Johan Jonsson, Head of Södra Skogsplantor. The birch trees growing in the nursery’s greenhouse since last summer are the 20 best trees from the Forestry Research Institute of Sweden. Now that they are well-established, the job of the nursery staff is to manage the birch trees so that they can produce seeds. The frequency of watering and fertilisation will be adjusted, and crowns will be cropped to some extent. The trees will remain vital for about 10 years, and then be replaced by new trees. Johan Jonsson, Head of Södra Skogsplantor.